“Super 8” is a heartfelt homage to the childhood of J.J. Abrams and the close-knit group of filmmakers he grew up with, including his longtime friend and collaborator composer Michael Giacchino. Why this sincere, pitch perfect, character driven little film was the victim of so much backlash is beyond me. Are we really so cynical now that audiences refuse to go along with anything the least bit nostalgic or sentimental? “Super 8” wears its heart on its sleeve, as well as its intentions. Abrams said this movie was intended as a direct tribute to the Steven Spielberg films that moved and inspired him and we feel his passion for cinematic Spielberg in every nostalgic drenched frame. There is some “Jaws” and “Close Encounters” in “Super 8”, and of course a lot of “E.T. But more than anything this Spielberg produced Amblin Entertainment production feels more like one of those Amblin production from the mid ‘80s that Spielberg Executive Produced only (“Gremlins”, “The Goonies”, “Batteries Not Included” etc. ), as well as the non-Amblin 1985 Joe Dante underappreciated gem “Explorers”. If you grew up going to the movies between 1975 and 1987 as the filmmakers did (as well as yours truly), “Super 8” is a profound, quasi-religious experience. And because of the technical expertise and painstaking attention to detail, seeing this movie is like stepping back in time to 1979. It really does feel like this could have been a movie made by Amblin some thirty plus years ago. As one of the few non-sequel, non-franchise, original films released in any recent summer, “Super 8” is a quiet, brilliantly acted (especially by Elle Fanning!) deeply personal character driven genre film that should have been embraced upon its release in June of 2011. Instead, critics scoffed and used the opportunity to take shots at the bearded one and his new heir apparent as internet trolls ranted on about “lens flairs” in an effort to sound film savvy and hide their ignorance. The result was a soft box office and a film that has been all but forgotten three years later. 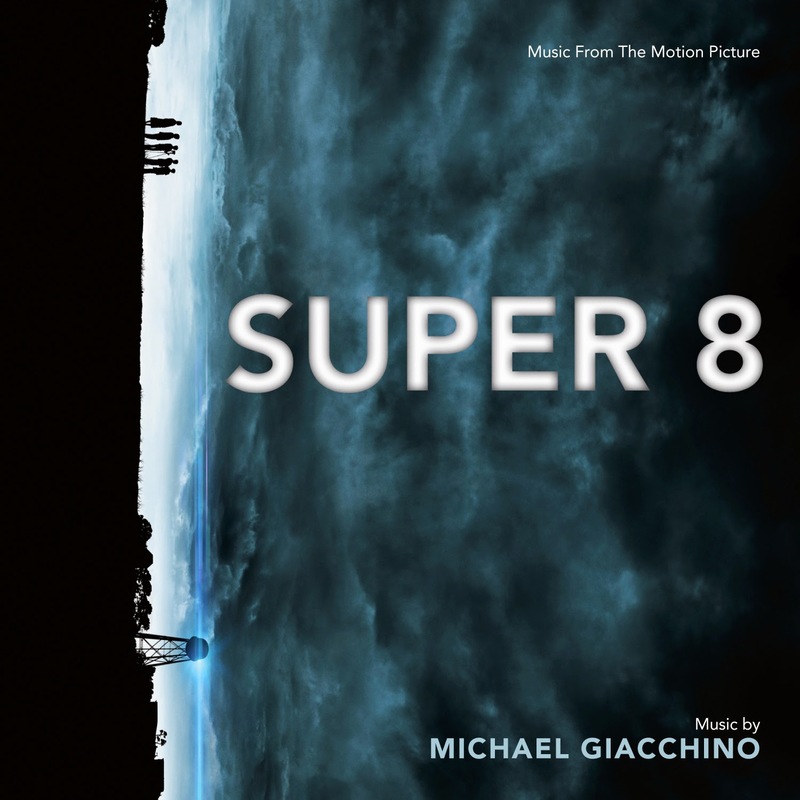 Michael Giacchino’s score for “Super 8” suffered a similar fate albeit for different reasons. Expectations were impossibly high for the soundtrack. Not only is there the looming specter of John Williams and his masterpieces “Close Encounters” and “E.T.” (which Giacchino pays a lot of tribute to in “Super 8”), there is a vast library of outstanding film music in the Amblin catalogue, not to mention the non-Amblin but still Spielberg inspired/influenced stuff like “Explorers” (1985) and “Cocoon” (1985). To further add to the expectations of soundtrack fans the “Super 8” trailer used music from James Horner’s “Cocoon” score—a lush, gorgeous, and very popular work. But that was a very different era and the approach to music in film was nothing like it is today. The “Super 8” score, like the film has to be judged on its own terms. When that is done, it becomes clear that both are underrated gems—minor masterworks in need of rediscovery. The soundtrack album opens with “Super 8”, a cue that introduces two of Giacchino’s main themes,—the movie’s rumbling monster theme, a swinging four note suspense stinger motif—and the family theme, a sentimental melody that serves as the score’s emotional heart. The monster theme is a throwback to the composer’s “Lost” days and this colorful motif gets plenty of play as it develops throughout the score into a full blown theme reminiscent of John William’s music for the helicopter chase on Devil’s Tower in “Close Encounters”. A third, ultra-fluid, richly developed theme representing the Alice character (played by Elle Fanning) is introduced in “Acting Chops” and given strong statements throughout the score culminating in a full-blown performance in the finale “Super 8 Suite”. A fourth and irresistible theme for the military villains gets a strong treatment in “The Evacuation of Lillian”. This propulsive piece of music is a wonderful homage to William’s “Men With Keys” theme from “E.T.” and sets the tone for the surprising amount of exciting action material in “Super 8”. Giacchino can write exciting action music up there with the best of them but it is with the emotional material that the composer truly flourishes. While “Super 8” has an obvious influence from Williams, (and to a lesser extent Horner and even Broughton), 2012’s “John Carter” and this year’s masterful “Dawn of the Planet of the Apes” show the somposer to be the heir apparent to John Barry and Georges Delerue when it comes to creating deeply affecting emotional music. “Super 8” is rich with sentiment. “Alice Projects On Joe” is a heart-breaking masterpiece. If this cue does make you feel something, then check for a pulse. Both the Family Theme and the Alice Theme pack more emotion per note than most entire scores contain. As a stand-alone listen on album the breaking of the music into so many smaller, fragmented cues can be a bit frustrating. There were many times when the Family Theme would start playing and just as I became swept up in the emotion, the track would end abruptly. If there is one weakness in the composer’s game, it would be album presentation, something that Williams, Horner, and Shore do so well. The good news is that recent Giacchino soundtracks have gone with longer cues and a more manageable track number that allows the music to breathe. But, all of the teasing with the shorter cues in the first two thirds of the soundtrack does finally pay off. Beginning with track 21 “Neighborhood Watch – Fail”, the composer begins to reward us with longer, more fully developed cues, carefully building the musical and narrative momentum until he delivers three absolute knockout tracks—the rousing “Creature Comforts”, the bittersweet “Letting Go” and an emotionally cathartic release as we relive the musical and emotional highlights in “Super 8 Suite”. Bottom line: The “Super 8” soundtrack is an exciting, moving, nostalgic, score brimming with a sentimental sense of wonder. It is sure to please fans of Michael Giacchino, classic Spielberg/Williams, and Amblin Entertainment.